I looked at it. The black briefcase sat by the door. It was Saturday, mid year, 1988. The mid morning light through the slit in the curtain, drew a right angle across the exposed top corner. This did not lightened the case colour, only, it darkened what remained of the briefcase in the shadows. The thick heavy-backed curtain kept the case concealed. There was a twirling spectacle of dust stirred by the slow-moving fan. The dust particles moved between the dark case, and the top of the opened window. This twirling dust caught my eye briefly as this spot of light was the only light in the room today. From the dark interior, it was hard to tell that the sun was high, the sky was blue and it was 36 degrees outside. The unit had trapped dust but how do I get it out? I was limited to what I could do, and what I could not do. My boundaries were quite clear as they were bashed into me several times over four years. I also knew whom not to speak to and where not to go. Sometimes I felt like a trapped animal and sometimes I was just like a chipped, trapped dog in a yard with electrical fencing all around and someone watching from the shadows. It was getting hotter and I felt thirsty. I took a step to the briefcase. It was bulky, large, and square, with gold fittings like a pilot’s or a travel case . It had black strong rubber wheels and gold clasps that snapped shut. I looked at the briefcase and did not touch it, afraid. I have heard him snap-shut the clasps and the lock so many times. He liked that, the strict, military-type barking of orders and routine snapping of things into place. Orders for curtains to close when night fell. Open curtains, he said, meant, I was sending out invitations to be seen, to be looked at, by strangers and our neighbours. “What if it’s a trap?” I almost whispered, delaying my urge to open the damn briefcase. My curiosity tugged at me one more time but I refrained from touching it. I could never imagine what could be held inside this large dark briefcase. I went upstairs to the bathroom and washed my face. It was hot. Then I returned down the stairs and sat down at the last one. My legs were weak, but I was not hungry. My eyes went back to the case. It could fit a small gun perhaps, but he already had a sewn-off rifle. I remembered him removing, caressing and dressing the gun with a soft towel and placing it like a baby in its cuddle spot, in his car. He was excited by his newly acquired possession. Apparently, he got this gun from his cousin, and that was a piece of information I needed to know. I thought to myself, as I poured myself a glass of water, to cool down. What a cunning backstory to cushion my fear that he had access to a gun or weapons, any time, from his relatives. I stood up and walked the few steps to the front door and peeked outside. The car-park was still empty. He had stored the rifle in his car booth, under the spare tyre. A fine hiding place, where betel-nut chewing, sleepy, corrupted Port Moresby police were too heedless to look during roadblocks. “No”, I told myself in realisation. He would not trust me with a gun inside the house. It has been almost four years. I was not dead yet, but something has happened to me. I was no longer myself nor was I the 19-year-old virgin from strong Lutheran faith. I was no longer the traditional Papua New Guinea village-innocent girl that he had conquered. I believed that he knew this. I believed he knew I had changed and this meant one thing – my days were numbered. I collected the large pillows and took them outside. The colourful coleus amongst my tropical plants in the pots cheered me up. The pillows were heavy and only for show. No one used these pillows; they sat and collected dust on the New Zealand sheepskin leather, which covered parts of the downstairs/lounge. Under the cream sheepskin was a large olive-green, black and white carpet. The carpet looked Moroccan. The lounge was a sombre decoration completed with a collection of prints that I thought were depressing. Curly haired, empty, pale and ghost-like maidens, stared down from sepia prints. They showed no particular emotion, yet, their eyes looked sad. Whoever drew these miserable women, sold them to the right person, that was my view. I picked up the last pillow and went out the back. I shook bread crumbs off the pillows into the backyard and laid them on stacked sandy-brown pavers, lined with pot plants. There were three of the pillows. Regaining composure, and letting my aching body breathe fresh air, I stepped inside. I thought of cleaning the windows but it meant, I would open the curtains. He liked them shut. “It keeps the sunlight off the artwork,” he said sarcastically. I wondered if I was the artwork he referred to. Not the monochrome of beautiful and sad curly-haired pale women with very large haunting eyes. I crossed the small lounge to the front door. Remaining inside, I opened the door enough to look outside. I kept my hand on the handle. I dare not step outside, someone might see me and report back. No-one was there. The normal raucous of the compound seemed to have disappeared. The compound area of 1000 square metres encased three blocks of cream concrete airline employee residential units. They were all quiet. His unit was in the first block, second last. The Talis tree outside, in full bloom had seduced bees and insects and a few city birds watched for their own meals. The wide, long leaves were turning yellow, orange and red, like autumn colours in the movies I had seen. The Talis tree usually housed wives and babies of employees under its cool shade. Today, the shade was abandoned. I pulled back into the unit, closing the door behind me and locking it. I felt the coolness of the ugly 1970s brown tiles on my feet even when the air inside was hot. I looked at the case again. I had nowhere else to go today. The order was to stay home. I stared at the briefcase again. It was Christmas Eve. He left it there. Why had he not taken the briefcase to work? I decided to ignore the briefcase. This was a test and I was very tired. I completed and took the washing out and hung it. I returned inside the hot two-bedroom brick unit and counted seven small presents I had bought and wrapped. I felt ashamed. I told myself, I was weak and revolting. I was pathetic. I bought these presents – for what? I hated him. My hands were sweaty, I was trembling and my heart beat faster as I thought of what lay ahead. Three things could happen this Christmas. One, I could be dead. Two, there could be a resolution to this relationship. Oh, the third thing…I could kill him. The third was pathetic and I knew it. My eyes glazed over with tears as I laid the presents under the green, fake Chinese-made Christmas tree. The tinsel and the plastic brush leaves scattered and messed up the base. I did not care. I hated fake things. I let the tears come, that’s was all I had. The tree had red and white bells with some glittering reindeer. I was very careful not to trip the tree over even though, I did not like it. Then, I picked myself off the floor and went to the briefcase and opened it. I felt my face burnt with excitement and fear. My trembling hands worked swiftly over books, papers and travel documents. The smell of planes mingled with the strong smell of vinyl. My hands touched a small box. It was a dark blue jewellery box with sharp edges. I pulled it out, unafraid anymore. I opened the lid and it stayed ajar. Inside, immaculately placed in white cushion padding were a set of Australia’s beautiful white Opals. There was a pendant with matching earrings. The settings were in gold. It was a perfect Christmas gift for a woman, I thought, marvelling at its beauty. I remembered these opals from the Brisbane duty-free shop. The white opals were my favourite from all the other colours but it was not something I would ask for. I looked at the stones, mesmerized by their beauty, even from the mouth of the dark briefcase. Briefly, I thought of the depth of the earth where they came from and years the stone took to form and evolve into such luminous work of art. I thought of the person that spent laborious hours grinding, polishing and shaping them. I made jewellery so I knew the work involved. The light sipped into and was trapped in the stones, lighting and reflecting layers of intricate colours. 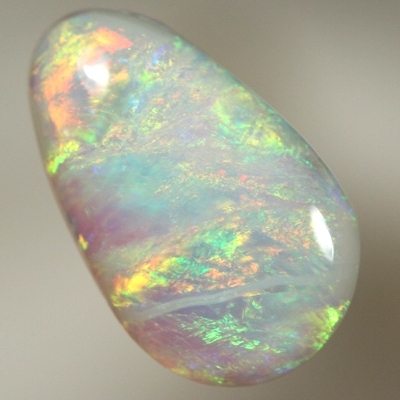 The Opal had a sense of innocence, purity, and tenderness. Suddenly, I felt cold and quickly placed the small box back in the briefcase and snapped it shut. Deep down I knew, these Opals were not for me. You know Joycelin, that place where you were in this story, I was also in that place for many years myself. Sometimes there doesn’t have to be a lock on the door for you to know you cannot go out. I never saw the signs with you but I guess I never saw you during those years as you were in Moresby. Let us both use our experiences to help the far too many others who are trapped in this place. I am surprised and deeply honoured you are reading my stories. How wonderful to see you on my blog! Thank you so much for sharing your story. Are you in Brisbane? We should get together. I will email you. I love all earth-nature made stones. No matter what color. They are alive and possess this valuable true energy, no man-made crystal can ever have. Hi RinaMet, thank you for sharing your thoughts on Opals. I love them too. Dear Alex, you are very welcome. Thank you for appreciating. Great writing and an intriguing story. I love it. Hey Lillian. so good to see you on my blog! How wonderful, at Christmas. Thank you so much. I missed you. Love to you and Mike. Opals are my favourites too. What a mystery you have written about Joyce; great writing. Loved it…have a prosperous creative New Year 2015…good to be in touch. Love, Lilian and Mike!